3 Tips for Teaching Kids to Skate | More Crunchy Beach Mama! 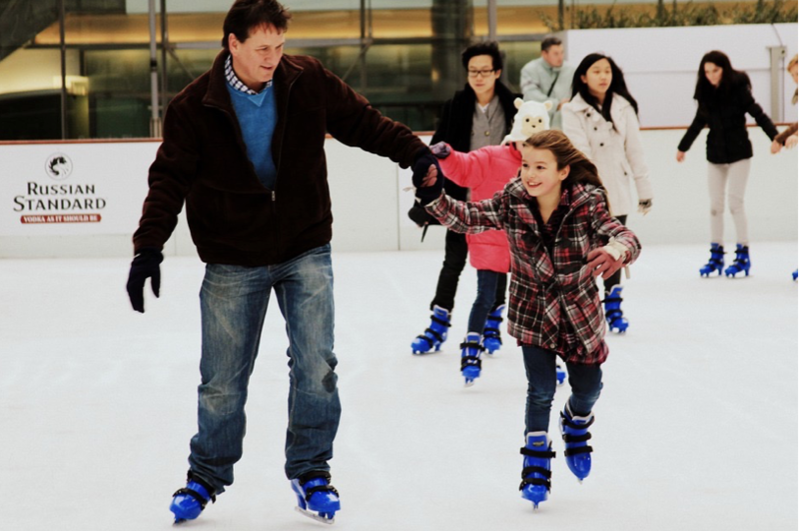 While ice skating is one of the most fun activities you can do with your kids, the learning curve can be very steep, especially for very young children. Everyone has their tips on how to teach younger children how to skate, but only a few really do work. In this article, we’re going to give you a few simple techniques that should help your child get closer to becoming pro skater in no time. First you all, you have to make sure that your kid has the right gear. One of the biggest challenges with ice skate rentals is finding a pair that fits snuggly. It’s very important to choose a pair that will fit your kid’s feet like a glove to prevent any kind of injury and to give them maximum stability. Not all children are the same and not all learn at the same speed. Some kids may pick it up in a few days while others can take much longer. Respect your child’s learning speed and don’t push them, or you could end up ruining their experience and they might lose interest in skating altogether. Also, just because your neighbor’s kids learned to skate at the age of three, doesn’t mean it will be the case for any kid. Some might be comfortable at an early age while for others it might be wiser to wait until they’re of school age before you teach them the rudiments of ice skating. When skating with children, do not carry them under any circumstances. As a matter of fact, this is banned in most skating rinks. The same goes with baby carriers. Also, make sure that you invest in a helmet to prevent any kind of head injury. And don’t jump on the ice as soon as they put their skates on. Make them practice off rink first. Teach them how to stand up, how to walk around and even how to fall and get up. When they fall, teach them to get up from a crawling position, as that will be very useful once they get on the rink. You should also teach them to get into a safety position when they feel they’re going to fall. Teach them to bend their knees and put their hands on their knees if they feel they’re going to fall, this will increase their stability. These few tips should help your child learn to skate in no time. Make sure that you choose the proper skates for them to ensure stability and make sure that they don’t have an injury. Also, make sure to take baby steps at first and don’t rush them. Get some off-rink training and teach them the proper position and how to be stable on skates. Then you can move on and teach them how to skate on ice. You should also consider enrolling your child in skating classes. Most rinks will offer skating classes for children three and up. This is the only way to ensure that your kid learns the proper technique and does not develop bad habits later on.